Redwood Valley Railway - this 15” gauge railroad is perched high above San Francisco Bay near Berkeley, California. It was founded in 1952 by Western Pacific mechanical engineer, Erich Thomsen. All four of the railroad’s oil-fired steam locomotives were built in the Redwood Valley shops. We’ll see two locomotives in steam plus dramatic scenes of fog drifting along the route through stands of towering redwoods. The Arborway, TT and Northwestern, (ATT & NW) is a Grand Scale Miniature Railroad that runs on 15” gauge track through spectacular Missouri Ozark surroundings. There are more than three and a half miles of 2% grade single and double track main-line with two tunnels on the site’s rolling terrain. The inspiration for the ATT & NW came in the year 2000 from St. Louis businessman John R. Woods, who wanted to create a distinct and authentic site for family, friends, and business associates to gather. Sadly, not long after seeing his dream railroad become operational, John Woods died accidentally in 2008. The Woods family has kept the railroad intact as a non-profit organization. The ATT&NW is not open to the general public, but it’s possible to visit and volunteer after becoming a member of the Friends of the ATT & NW. 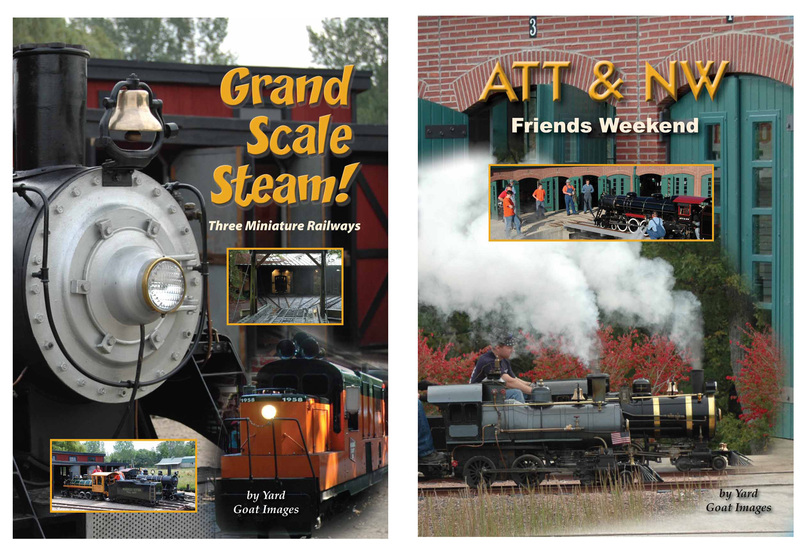 Our program was recorded at an annual Friends Weekend, which features running all of the ATT & NW locomotives and rolling stock along with visiting equipment well into the night, along with music, food, and good company. The Arborway TT & NW (ATT&NW) Friends Weekend from Yard Goat Images on Vimeo.